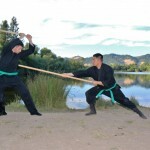 Traditional Japanese weapons training at Bujinkan Sonoma Dojo in Santa Rosa. 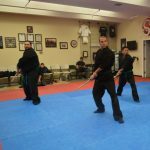 Please take a look at our gallery below. 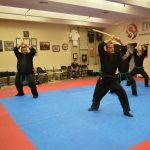 In our classes we work with sword, bo-staff, 3ft staff, knife, rope and chain weapons, and many others. 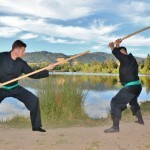 The movements we practice in unarmed training apply directly to these traditional Japapanese weapons. 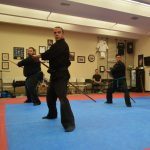 We focus on efficient movement – using footwork, timing and correct angles to overcome brute strength. 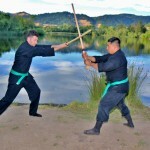 Looking For Japanese Weapons Training in Santa Rosa?